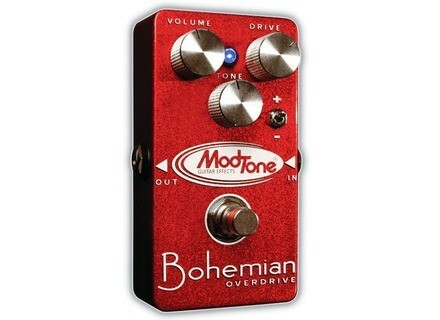 Bohemian Overdrive, Overdrive pedal from Modtone in the Pro series. 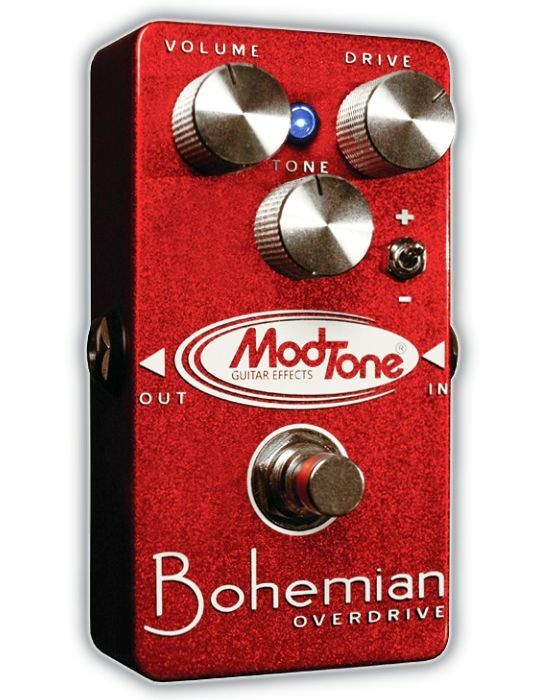 Mod-Tone Effects announces the availability of the Bohemian overdrive that had been introduced at NAMM in January. With a US street price of $109.95, Bohemian is a British-style overdrive equipped with a high-pass/low-pass switch, volume, tone and gain knobs, as well as a true bypass. Its requires a 9V battery or an external power supply. Full details are available at www.modtone-effects.com. New EC Pedals Rusty Cooley Signature Rusty Cooley (Outworld) signs at EC Pedals’ a new overdrive stompbox that should satisfy rock and metal guitar players. Palmer Mutterstolz Review Back in the day when fluorescent colors were in fashion, amps resembled fridges, all the songs on the radio had a guitar solo before the second chorus, and the Berlin Wall was still standing (Bingo!, the '80s), German brand Palmer made a name for itself among guitar players with products such as the very popular PI-03 speaker simulator in rack format with a gray and austere front panel.